When I considered what to do with my evening, I stumbled upon a flyer for the Fort Peck Summer Theater, a short distance from the hotel. While government workers built the dam and lodging, others created this venue to entertain those who were constructing the dam. Unemployed artisans designed the handcrafted appointments, blown-glass lighting, and massive hand-hewn beams. Though intended to be temporary, no one has ever been willing to tear it down. Instead, the Fort Peck Fine Arts Council was formed to care for and restore the building to its original splendor. It was reborn as a summer theater. The show that night was The King and I. Waiting for it to begin, I looked around at the enthusiastic audience who filled the huge auditorium. My jeans and light sweater harmonized with the casual clothes worn by other spectators—an occasional sports jacket the dressiest. Couples spoke softly to each other, everyone well-mannered and at ease in a theater setting. A cultured audience, talented performers, and creative costumes, lighting, and sets— a surprising and perfect evening in a town I never knew existed. As my evening ended, I returned to my historic hotel and reflected on what I’d done in the last few weeks. I’d left Atlanta for Alaska, but the thrill had been in the wandering—gorgeous scenery, quality entertainment, delicious food, and unexpected towns like tiny Rugby and Medora, with its irresistible pull into the past. 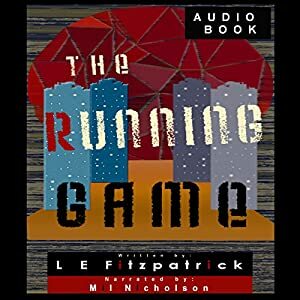 Drawn by instinct, there was no reason to pass these villages and race down the road. I stood looking at my room, so unlike a Holiday Inn, shocked to realize that this was what I left home for. Planning a trip around a destination was an ingrained habit—not what I wanted now. I had lived my life from one objective to the next: small tasks such as projects due, meetings to attend, and larger ones, like be in Boston on Tuesday defined my minutes, days and years. Alaska was another destination, another responsibility, another deadline. 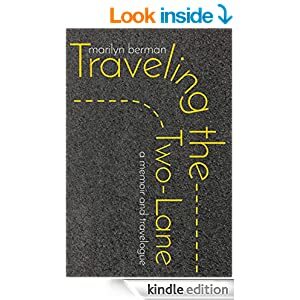 Marilyn Berman received her PhD in Communication Disorders from the University of Michigan. She was a faculty member at Indiana University before accepting a position as Supervisor of Speech Language Pathology at the VA Medical Center in Atlanta and, later, Chief, Audiology and Speech Language Pathology at the same hospital. She taught part time at Emory University and Georgia State. 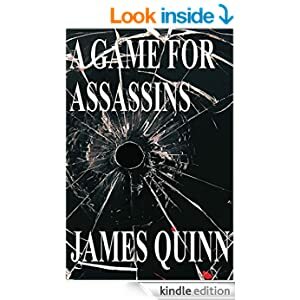 Here’s an extract from James Quinns’ A Game for Assassins – check it out.